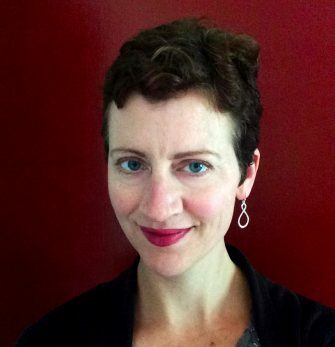 Heather O’Donnell is an adjunct professor of German at the Eastman School of Music. She lived, worked, studied, and taught for fifteen years in Berlin, Germany. During that time she shifted from performance life (piano) into academic work, receiving a degree in psychology from the Freie Universität Berlin, as well as a certificate in Musicians’ Health from the Kurt-Singer-Institut at the Universität der Künste/Hochschule für Music Hanns-Eisler. She’s given lectures and held teaching positions at a number of institutions, for example: New England Conservatory, Ostrava Days Festival in the Czech Republic, and the Iartschool in Hangzhou, China. Heather has lectured on various subjects such as the piano works of Schumann and Helmut Lachenmann, Thomas Mann, and Beethoven, and was featured in the first scene of German filmmaker/philosopher Alexander Kluge’s nine-hour-long cinematic representation of Marx’s Das Kapital. In addition to teaching German, she also teaches piano and works within the field of musicians’ health and injury prevention/recovery.